Do you know what the difference is between Jim Gordon and Count Dracula? Nothing really, as they both like hanging around bat's! 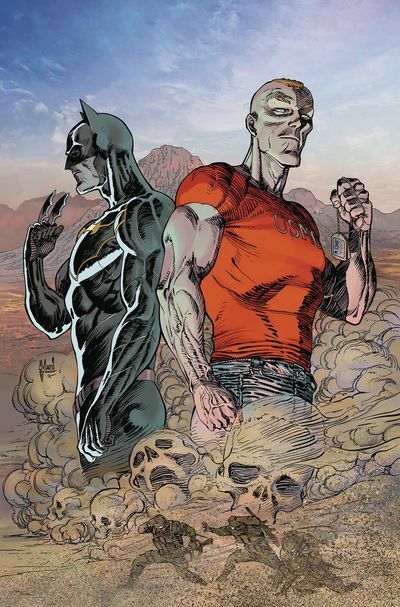 Which reminds me, please check out the following comic book created by Peter Tomasi, Fernando Pasarin, and published by DC Comics, in March, 2016. TO QUOTE Sun Tzu: 'Secret operations are essential in war; upon them the army relies to make its every move'. One evening, while Jim Gordon is walking home from the shops, an old friend of his from the Marines named Berenger approaches him and asks for some help. It turns out that a while back Jim, Berenger, and the rest of their crew uncovered something suspicious during their tour of Afghanistan, and that now, for some unexplained reason, members of their squad are getting killed off, one by one, because of this. But before Gordon can ask him any questions, suddenly, a suicidal terrorist then pops up and kills both Berenger and himself with a knife and a pill. Yet as we all know Jim Gordon isn't going to leave things like this, despite calling it in! So in a flip of a page he packs his Bat-suit and heads off to Afghanistan to investigate matters further (Please note: This story obviously takes place prior to the events seen in Batman #50. So if you haven't read that particular story yet, please check it out). Once he arrives in Afghanistan Jim meets up with a hand full of his old army buddies that are still alive, most notably Sergeant Naroda (who he likes), Captain Stone (who he doesn't) plus a number of others as well as Sergeant Fucci (who's new to the team). 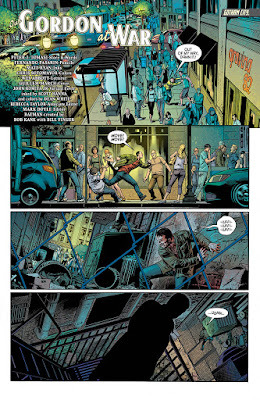 More importantly though, Jim actually gets down and does some real detective work, snooping around the army base in the cover of darkness as well as confronting Stone and another suicidal terrorist in a Eastern cafe. But wait up. Before I tell you too much about this issue I think it best I stop there or else I might spoil things. That said, however, what I can say is that on the whole this was a pretty decent issue of Detective Comics, decent enough for me to praise it on a number of different levels. First off I have to applaud Fernando Pasarin for his very polished artwork, as he managed to give this tale an obvious tone that was both cinematic and rustic at the same time. I also have to give Peter Tomasi some kudos too; not only for giving this tale a no-nonsense attitude, but also because his characters had character, and his story had a nice tinge of Middle Eastern mystery. Obviously I can't tell you too much about this mystery because of my aforementioned stance on not wanting to give away too many spoilers. Although, what I am willing to divulge is that this mystery is starting to come across like a conspiracy, or a cover up, something that may be a hit or a miss depending on what transpires within the next couple of issues. Where this issue is concerned though, well, let's just say great art, intriguing tale, we're off to a good start, and leave it at that for now. Whenever I see some sort of adventure or news story about people in the Army, for the life of me, I can help but think about the following song performed by the English rock group, Status Quo. Yeah, baby! You're in the army now. 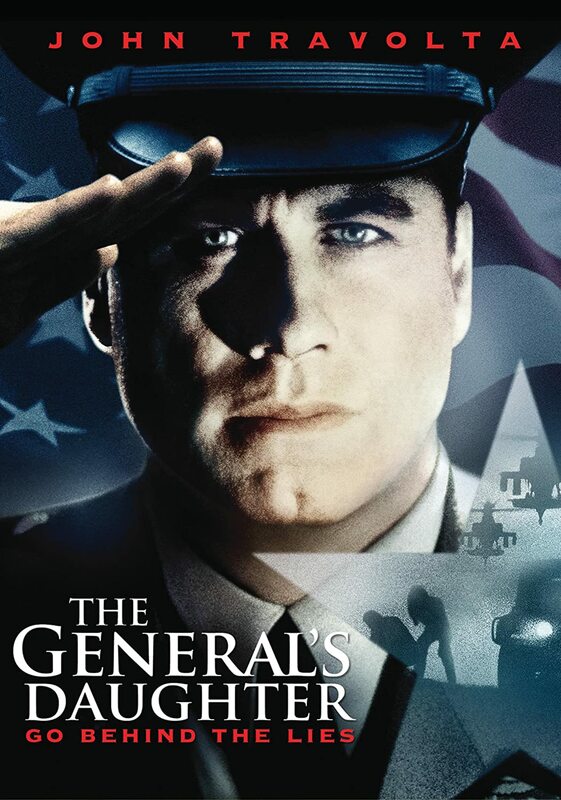 John Travolta starred in an amazing film called 'The Generals Daughter', where we saw this one-time greaser investigate the death of a young woman who was murdered in an army barracks. Now if you've not seen this film yet, don't worry, because in many ways this issue follows a similar path, just replace John with Gordon, Afghanistan with a local Army base, and suicidal terrorists with... errrr... no comment, Bang! Saddam Hussein doing his best impression of Nick Nolte. A monkey riding a bike with his banana. Ten camels smoking a fish. A torture chamber housing both victims and assailants. A deleted scene from 'Batman v Superman' where the two titular characters have a three-way with Wonder Woman. Miley Cyrus licking a landmine.